The Man is currently carrying a knee injury and the rumours suggest that she is legit hurt. She suffered the injury at the Royal Rumble and it has been in the storyline ever since. 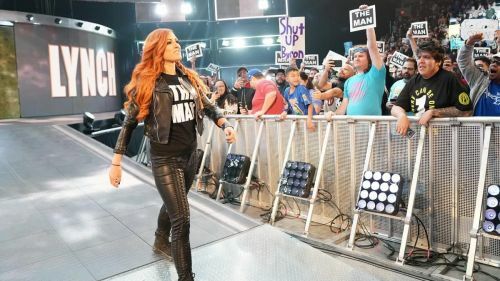 While some suggested that Becky Lynch was going around every day wearing the knee brace to make the storyline look legit, others speculate that she is actually hurt and that was the reason why she was suspended by Stephanie last week on Monday Night Raw. If her injury is actually a legit one, WWE are doing the right thing by introducing Charlotte in the main event of WrestleMania right now. It gives them enough time to see if Becky can recover on time and it wouldn't look like a last-minute decision to pull her out of the match. And if Becky is still unable to recover on time, it gives WWE the chance to have Charlotte and Ronda dominate the match and just get The Man to sneak in the win.